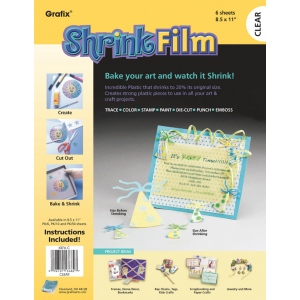 Shrink film is ideal for making jewelry tag art key chains bookmarks ornaments magnets picture frames and greeting cards. * Draw or stamp a design with permanent ink cut it out bake it in the oven and watch it shrink in minutes. 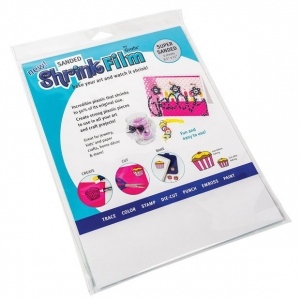 * 8½" x 11" sheets 6-pack.